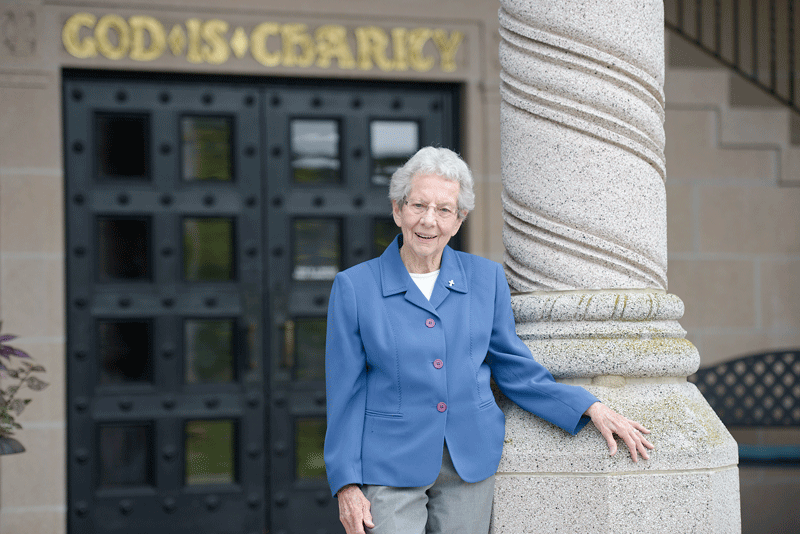 Sister Mary Caritas, SP says that many of the assignments during her remarkable 70-year career in healthcare, civic service, and work with the Sisters of Providence were unplanned, unexpected, and, in some cases, well, untimely — at least initially. By that she meant that, by and large, when she was informed that her role would be changing — and that happened more than a few times — she was very much enjoying what she was doing, making a difference in that role, and looking forward to going on in that way. Meanwhile, in most cases, she considered herself totally prepared for the new challenge to which she was assigned. That was true when she was told early on by her superiors that she would focus her career pursuits on dietary science rather than nursing, a profession she fell in love with, and again when she was told, after serving several years as a dietitian, that she would become an administrator at St. Luke’s Hospital in Pittsfield, and again when she was named president of the Sisters of Providence. But in each case, she accepted what was to come next with enthusiasm and a mindset to make the very best of that situation — for her, but also, and especially, for the constituencies she would be serving. There are countless people who would no doubt say the same thing. And those sentiments — not to mention a seemingly endless list of accomplishments and tireless work within the community — go a long way toward explaining why Sister Caritas, who turned 94 on August 22, was the clear winner in the Lifetime Achievement category for this inaugural class of Healthcare Heroes. In fact, she was the top scorer among the more than 70 nominees for the program’s seven categories. When looking over her résumé, it’s easy to see why. That document goes on for several pages and includes a long list of professional appointments, including a nearly two-decade-long stint at Mercy for which she is perhaps best known. It also chronicles a host of church-related activities and appointments, including a nine-year tenure as president of the Sisters of Providence that preceded her time as Mercy’s president, as well as stints on the executive council of the Sisters of Providence, the Catholic Charities board, and many others. And it also includes a lengthy list of civic activities and work within the business community, including everything from decades of service to the Easter Seals to her memorable role as chair of the task force on Bondi’s Island in the mid-’90s; from a decade of service as chair of the United Way of Pioneer Valley to a five-year stint as chair of the Springfield Council on Aging. Now 94, Sister Mary Caritas shows no signs of slowing down, and clear signs of only adding new chapters to a nearly 70-year career in healthcare and service to the church. She served on the board of two area colleges — Elms College and Western New England University — and also a few banks, including the former Springfield Institution for Savings and the former Community Savings Bank in Holyoke. She served on the Spirit of Springfield board for 16 years, and still serves on the Economic Development Council of Western Mass. And then … there’s her service to dozens of healthcare organizations. That list is way too long to print in anything approaching its entirety, but it includes the Sisters of Providence Health System, Catholic Health East, and Trinity Health New England (all parent companies to Mercy at different times), but also Partners for a Healthier Community, Cancer House of Hope, Holyoke Hospital, the American Hospital Assoc., the Mass. Hospital Assoc., the Academy for Catholic Health Care Leadership, and many more. But despite all that this résumé conveys, it’s still only part of the story. The much bigger part is the energy, entrepreneurial spirit, and innovative nature she brought to those assignments — or continues to bring; indeed, a good number of those listings have a starting date, then a hyphen, and then the word ‘present’ — and also her ability to inspire others. “She loves to fight for a good cause; she’s energized by it, and she communicates that enthusiasm or concern or passion to others, and they join with her, whether it’s for Bondi’s Island stench or fluoridation or reaching out and advocating for those who are are poor and underserved. Sister Caritas was doing quite well in her efforts to mask some frustration. At the time, the refrain-from list included golf, a pastime she’s enjoyed for decades (her record includes a hole in one at East Mountain Country Club’s 10th hole), as well as pilates. While somewhat disappointed that she had to take it rather easy, Sister Caritas took the marching orders in stride. There were, after all, plenty of other things to keep her busy. But understand that it takes nothing short of orders from a doctor to in any way slow down this energetic leader, who has been keeping a full calendar (whether it be the printed variety in a binder or her cellphone) since just after World War II ended. Our story begins in Springfield, where she was born and raised. Her father had designs on her being his secretary, and her classes at Commerce High School, which she didn’t like at all, had her on that path. Things changed after she met a woman in training to be a nurse. “I got so excited and so enthusiastic, when I came back, I told my mother I wanted to be a nurse,” she recalled, adding that these sentiments were not received warmly by her mother, who warned her that she would spend a career emptying bed pans. But the young Mary Geary was determined — we’ll see that word repeatedly in this discourse — and enrolled at Technical High School, focusing on the sciences, with the goal of entering the nursing profession. Upon joining the Sisters of Providence — another decision that did not sit well with her mother — she was sent to St. Vincent’s Hospital in Worcester as a nurse. 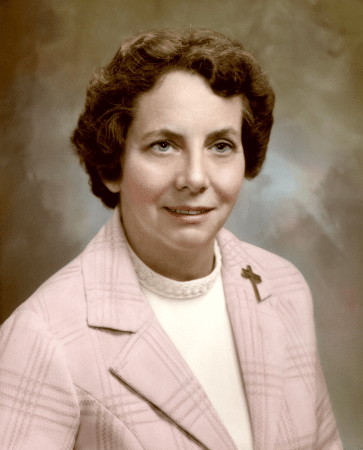 But upon making her final vows after her fifth year, in 1949, she was sent to Mercy Hospital in Springfield, a move she was thrilled with until she found out that, instead of nursing, she would focus on dietary services, a decision made by the reverend mother. Fast-forwarding a little, after receiving a master’s degree in nutrition education at Tufts University and undertaking a dietetic internship at the Francis Stern Food Clinic at the New England Medical Center in Boston, she was assigned to be administrative dietitian at Providence Hospital in Holyoke. When she replied that she didn’t know anything about hospital administration, her superior responded with a simple ‘you’ll learn,’ which she did. 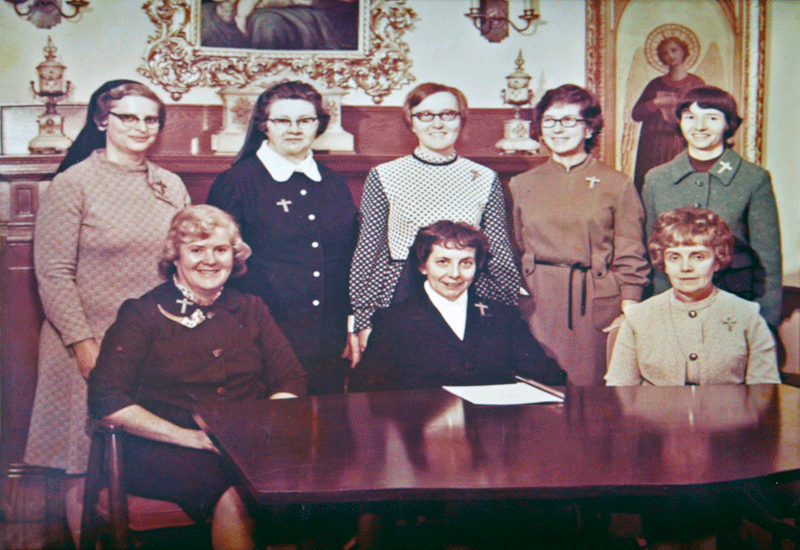 After St. Luke’s and Pittsfield General merged in 1969 to become Berkshire Medical Center, Sister Caritas served briefly as associate director of that facility. That’s briefly, because her life and career were soon to change abruptly — again. Indeed, she was chosen to lead the Sisters of Providence and take the title superior general, a title that intimidated her about as much as the long list of responsibilities that came with it. “I was totally unprepared for this,” she said, adding that, as she did with other stops during her career, she learned by doing. And that ‘doing’ included work to create a new Mercy Hospital, a facility that would replace a structure built by the Sisters of Providence in 1896 and open its doors in 1974. In another strange career twist — yes, there have been several in this narrative — Sister Caritas would succeed the woman she chose to lead the new Mercy (Sister Catherine LaBoure) after Sister LaBoure was in turn chosen to lead the order. While Mercy had a new facility, it remained what Sister Caritas called “the little kid on the block,” much smaller than its rival just a few blocks away, Baystate Medical Center. 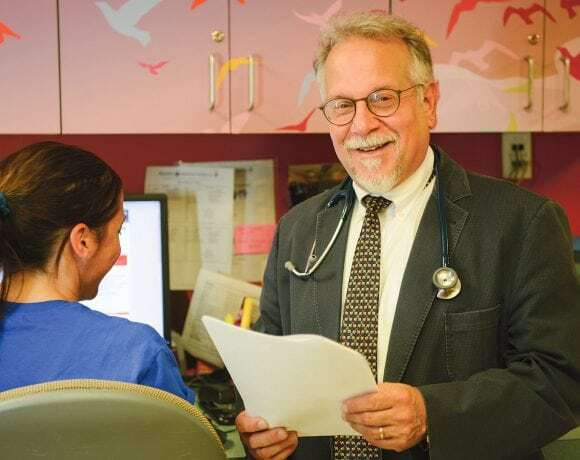 But in its smaller size, Mercy’s president saw nimbleness and an ability to fill recognized niches, while also taking some bold, innovative — and, yes, entrepreneurial — steps. Such as an in-hospital surgery center that has a story behind it that provides some insight into Sister Caritas’ determination and desire to fight for something she wants and believes in. “I was going to buy a surgery center down on Maple Street,” she recalled. “Everything was moving along smoothly, but the night before the sale was to go through, they called and said they changed their mind. I was naturally terribly disappointed, but disappointed was hardly the word for it. I was mad; I was furious. Other innovations and expansion initiatives would follow, including an eye center created at the hospital, an intensivist program, one of the nation’s first hospitalist programs, creation of the Weldon Center for Rehabilitation, the Family Life Center, the Healthcare for the Homeless initiative, and much more. 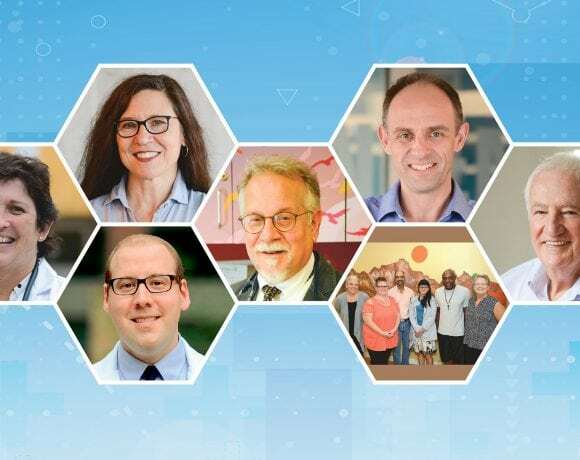 The common denominators with each of these efforts were common sense, expediency, and a desire to better serve patients and families, said Sister Caritas, citing the hospitalist program, now a staple in hospitals across the country, as an example. But while Sister Caritas has always been entrepreneurial, the word most-often used to describe her is compassionate. “What’s truly impressive is the breadth of her engagement, from the national level all the way down to the individual,” said Sister Popko. “She’s been on many national and regional boards and continues to serve on several — she has that dimension. But at the same time, and simultaneously, she has extraordinary compassion and a big-hearted, magnanimous response to the needs of the individual, whether it’s helping someone find a placement for their mother in a nursing home or reaching out to an individual who’s looking for a job or is in trouble. U.S. Rep. Richard Neal, who was mayor of Springfield during Sister Caritas’ tenure as president of Mercy, agreed. Sister Popko told BusinessWest that Sister Caritas, a.k.a. ‘little sister,’ insists that at one time she was at least 5 feet tall, and maybe a full inch over that mark. Not that it matters, or has ever mattered. Such comments evoke Mark Twain’s famous and often-borrowed line: “It’s not the size of the dog in the fight, it’s the size of the fight in the dog.” And with many matters, and in many arenas, Sister Caritas has displayed plenty of fight. Perhaps the most celebrated example was her lengthy battle to win approval from the Mass. Department of Public Health for a cobalt unit for cancer treatment at Mercy Hospital. She first filed an application in 1978, and it was denied. Applications could only be filed biannually, so she tried again in 1980. And 1982. And 1984. And 1986. You get the idea. “They said I couldn’t demonstrate that there was enough need for it,” she recalled, with exasperation still evident in her voice nearly 40 years after she was first turned down. “I couldn’t believe it. “But over the next 14 years, I applied every two years,” she went on, adding that the seventh application was to be her last — at least as president of Mercy — because she had informed her board that she would be retiring. That seventh time was the charm, and the cancer center that was started but not completed during her tenure now bears her name. In keeping with her character, however, she said that getting the center approved and built were not the real accomplishments. Toward Bondi’s Island, for example, and the odor problems that had plagued that facility for years, but in many other directions as well. She still sits on a dozen boards and continues to look for ways to innovate and serve the historically underserved. Both those missions come together in an ongoing project to create senior housing for lower-income individuals on the former Brightside campus. The Sisters of Providence are seeking additional funding support (state grants have already been secured) for a 36- to 40-unit facility that will be a demonstration project that will tie in with the PACE (Program for All-inclusive Care for the Elderly) initiative already operating at that site. As she talked about the Hillside project and the countless others she’s been involved with over the years, Sister Caritas was persistent in her efforts to make it clear that, with each one, she was only working as part of a team. As she was concluding her talk with BusinessWest and thus getting on to other items on her busy schedule, Sister Caritas took a few minutes to talk about Mary Elizabeth O’Brien, now serving as interim president of Mercy Medical Center. Ironically, generations of area residents, including those who have worked beside her, those who have benefited from her many initiatives, and even those working in competing hospitals have said the same of Sister Caritas. And at 94, they’re still saying it. As her friend Sister Popko noted so eloquently, she loves fighting for a good cause. And yes, when she gets in that mode, she is unstoppable. Still.